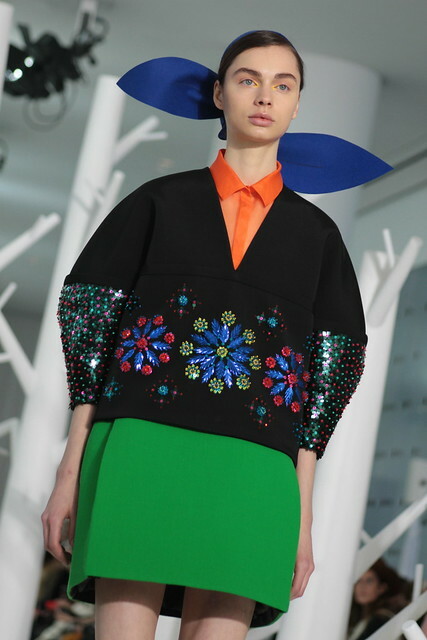 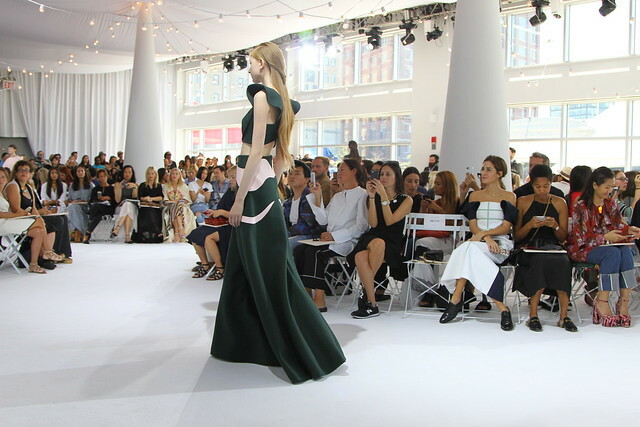 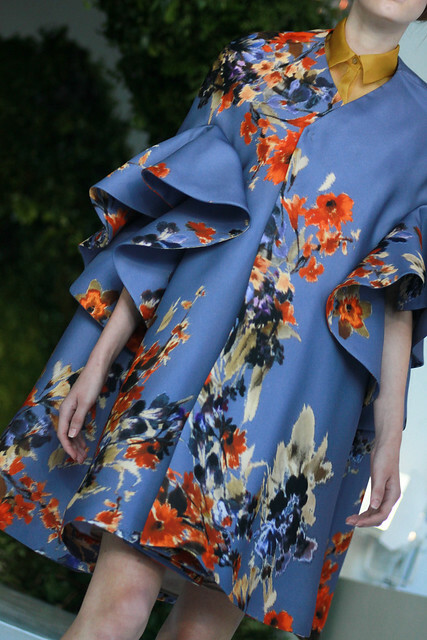 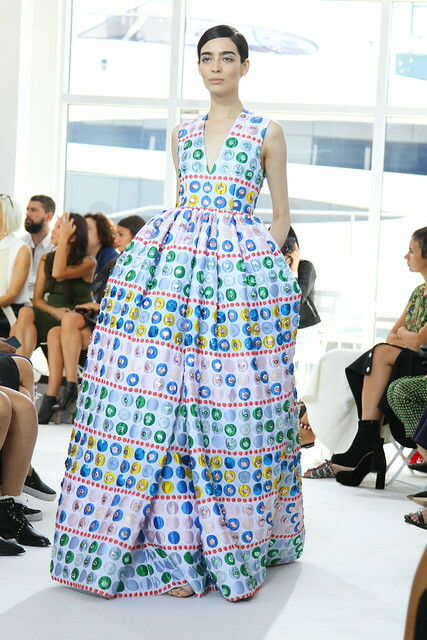 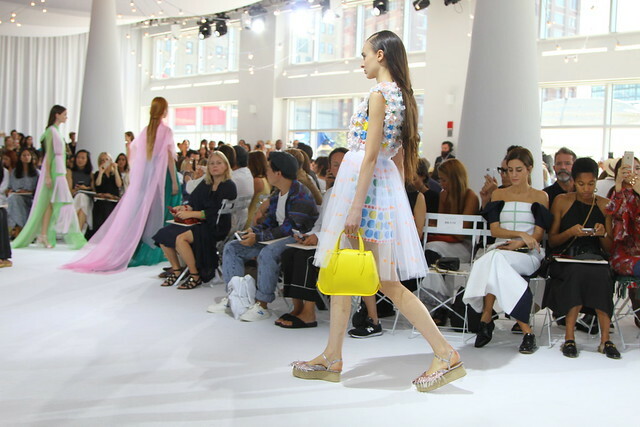 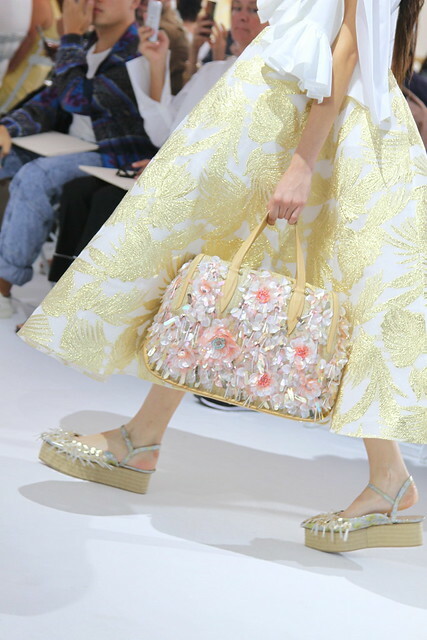 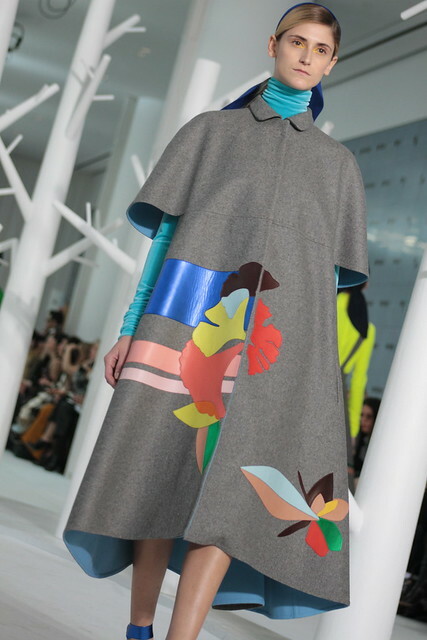 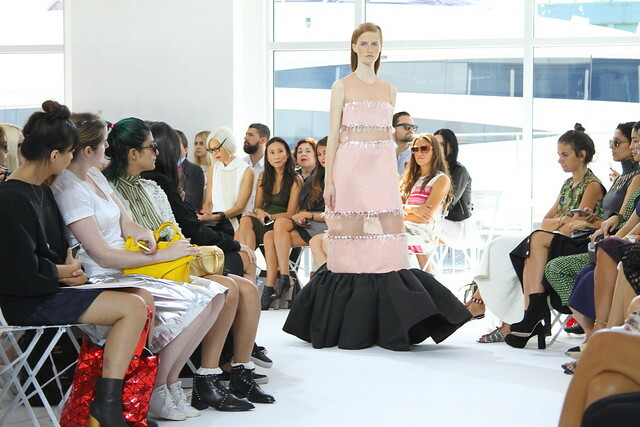 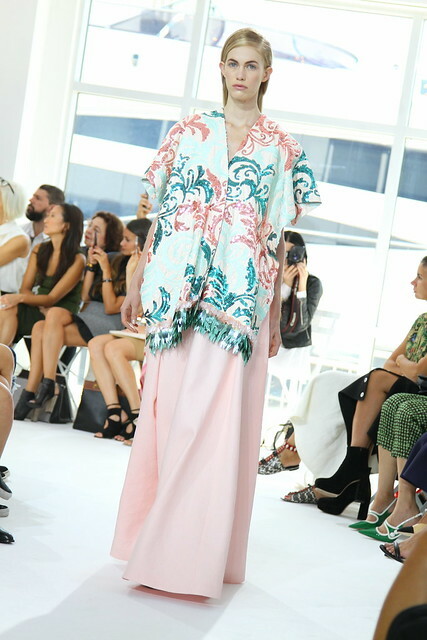 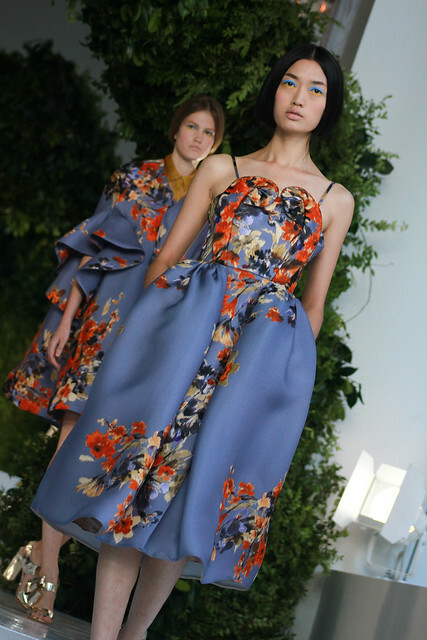 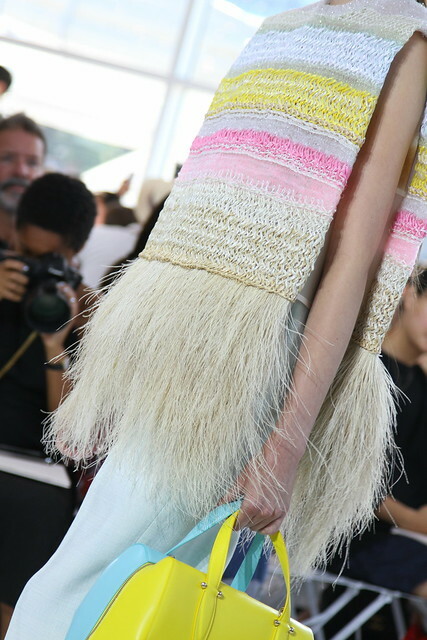 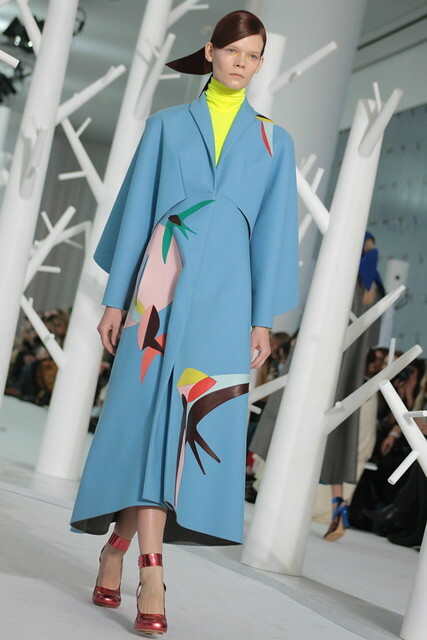 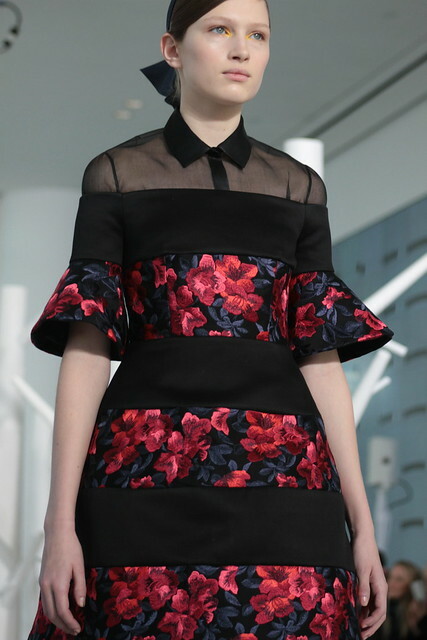 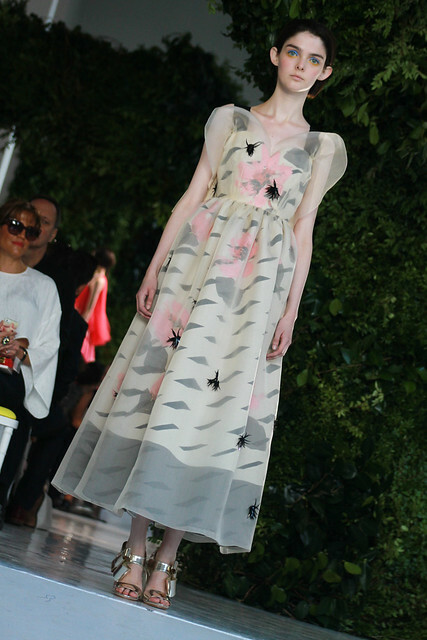 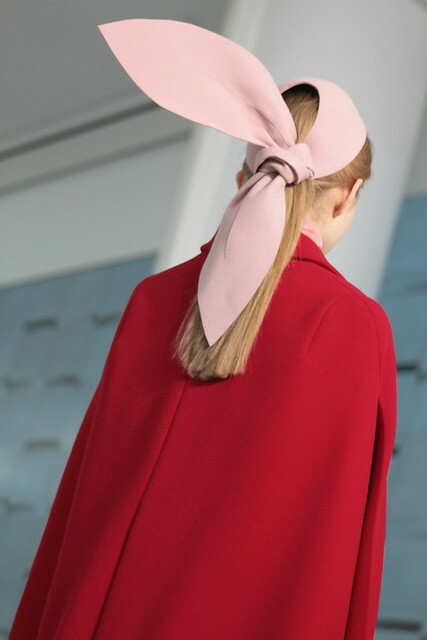 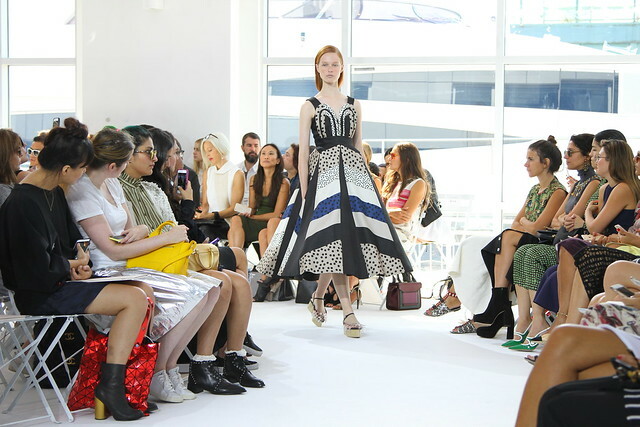 Delpozo’s SS14 show, the brand’s second since relaunching the label in 2012, was one of the most breathtaking shows of the season. 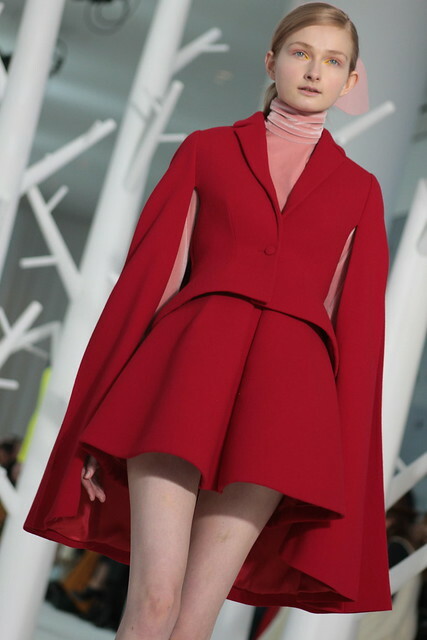 The best fashion shows, in my opinion, are always those that imbue a sense of magic or whimsy, which this collection had in spades. 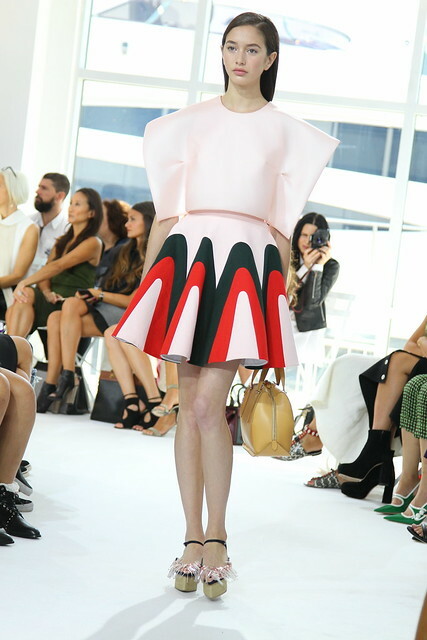 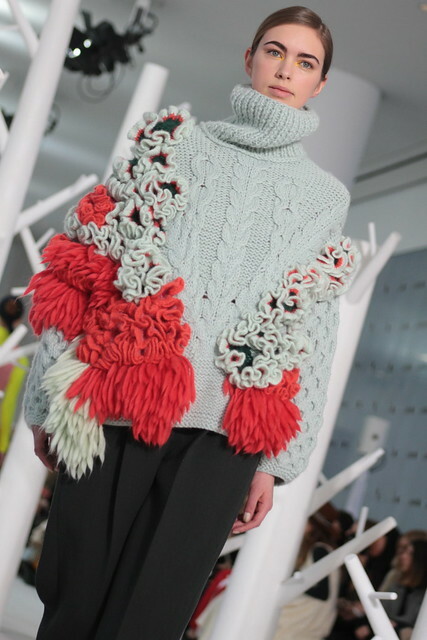 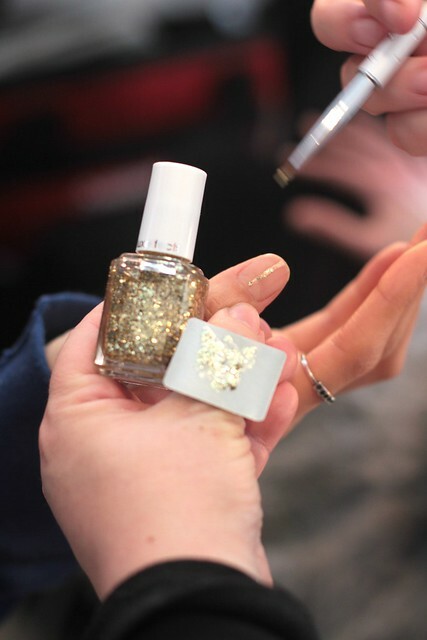 Leading to it quickly climbing to the top of my SS14 favorites list! 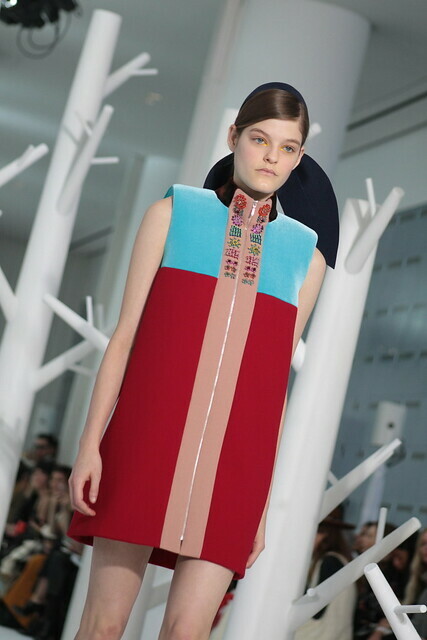 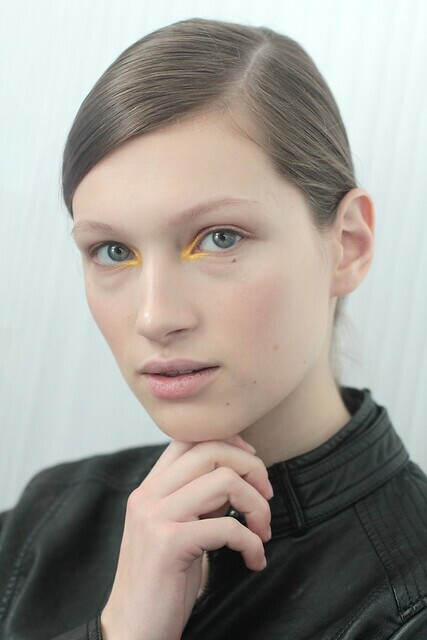 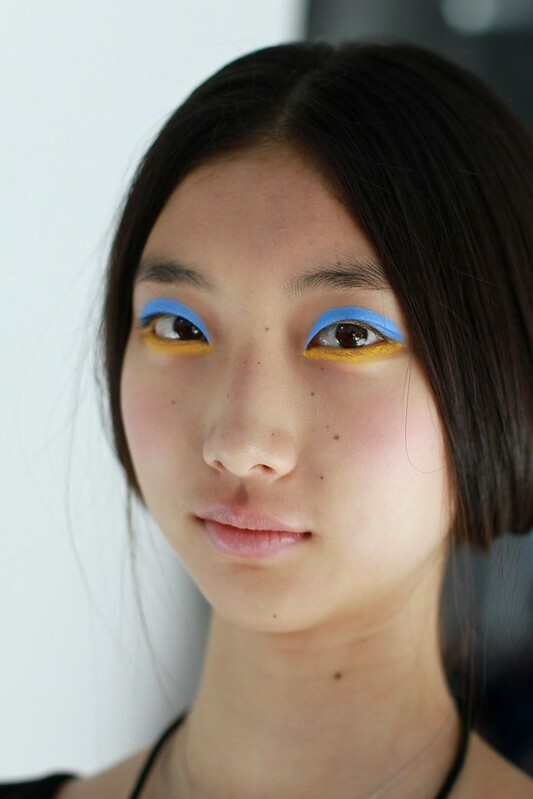 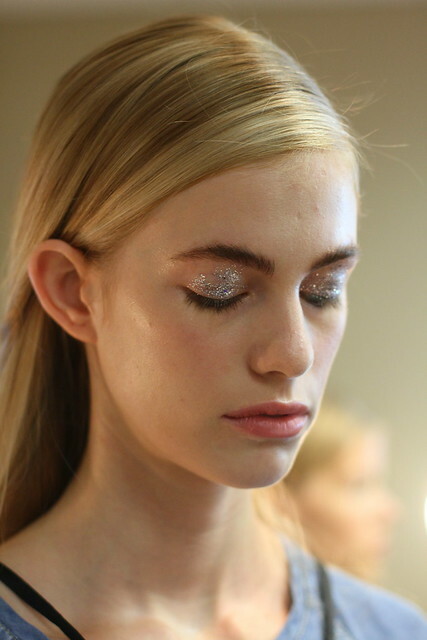 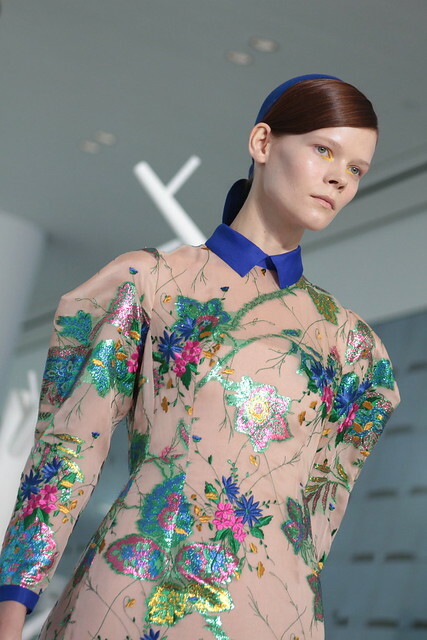 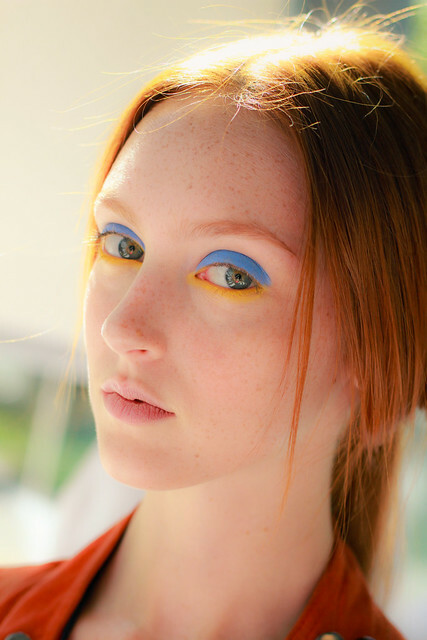 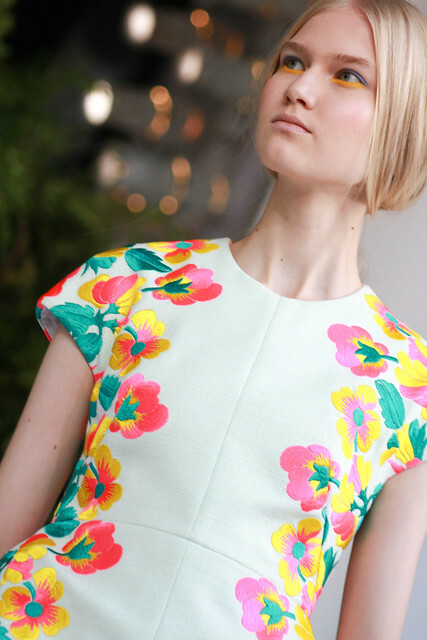 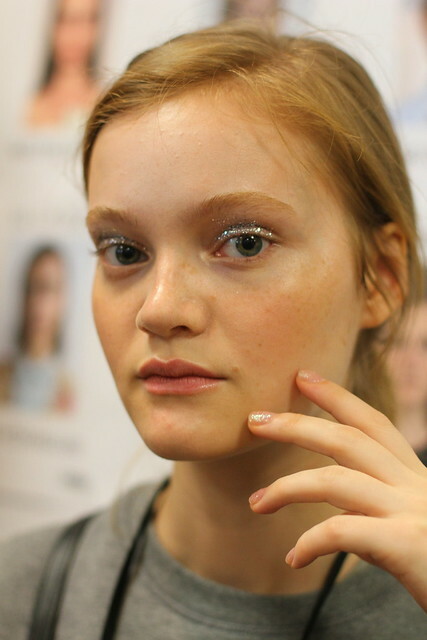 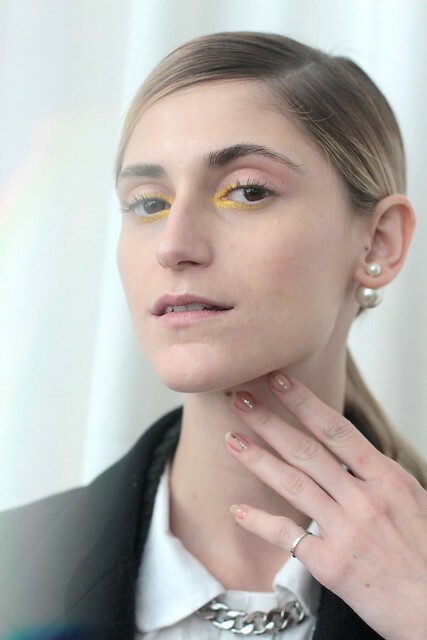 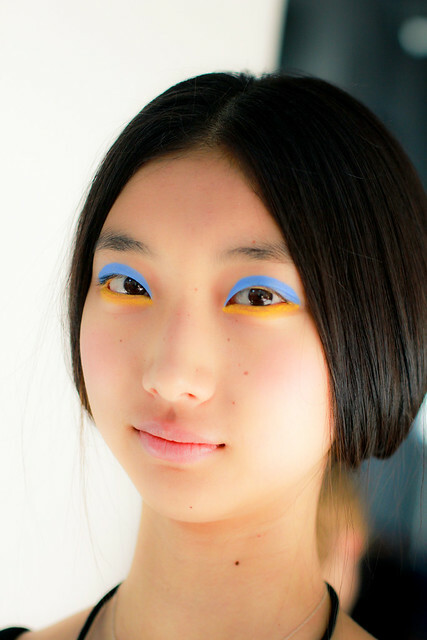 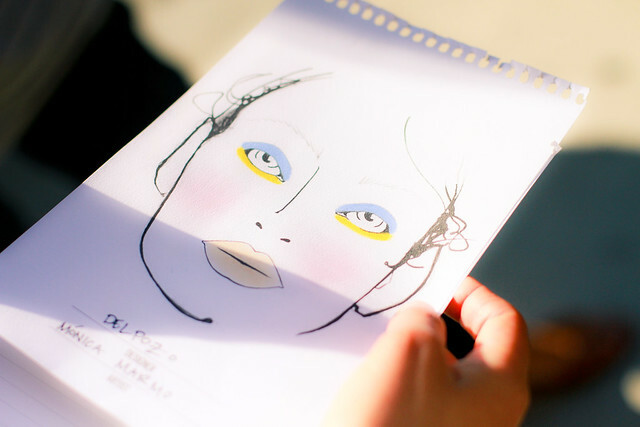 The bright pops of color on the model’s eyes provided a nice contrast to the sweet, dreamy dresses in the collection. 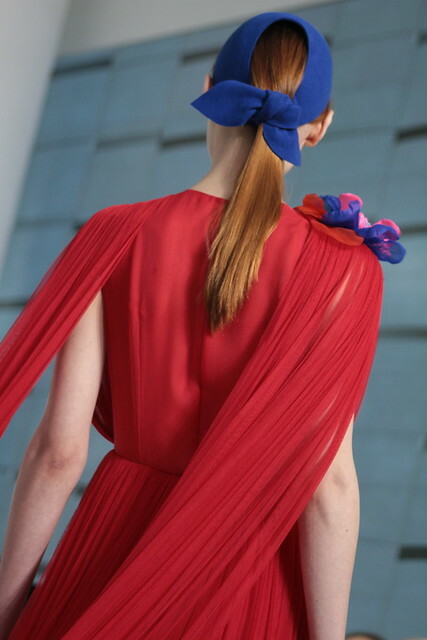 The hair for the show, created by Moroccanoil Artistic Director Antonio Corral Calero mixed volume with sleekness, presenting the look as a smooth ponytail, with heavy volume on top. 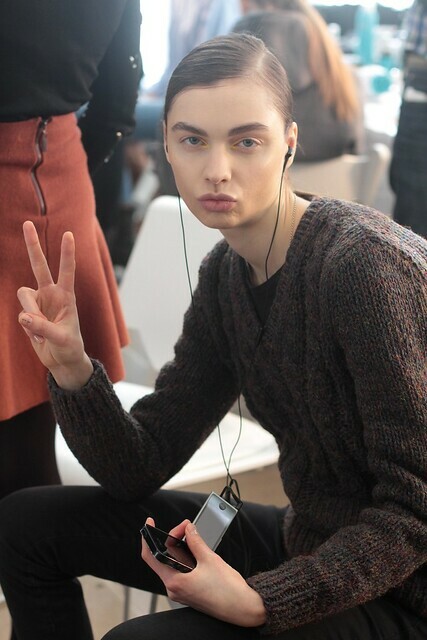 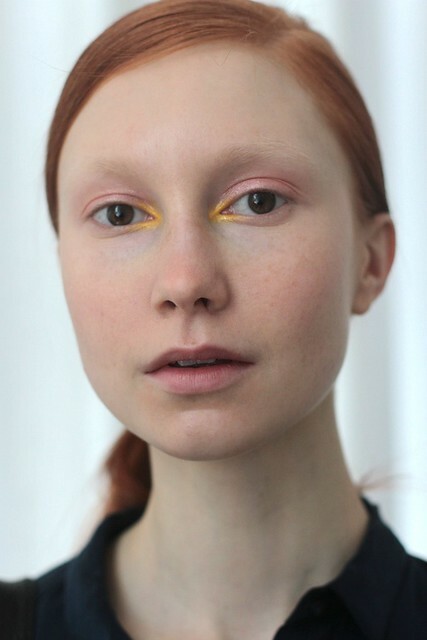 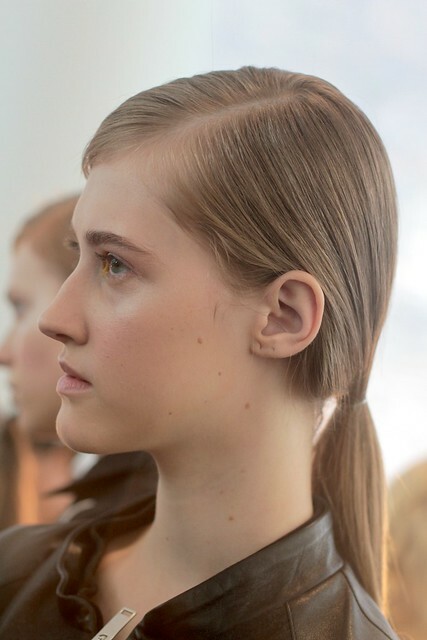 Hair was both simple, and unique amongst the many looks of SS14. 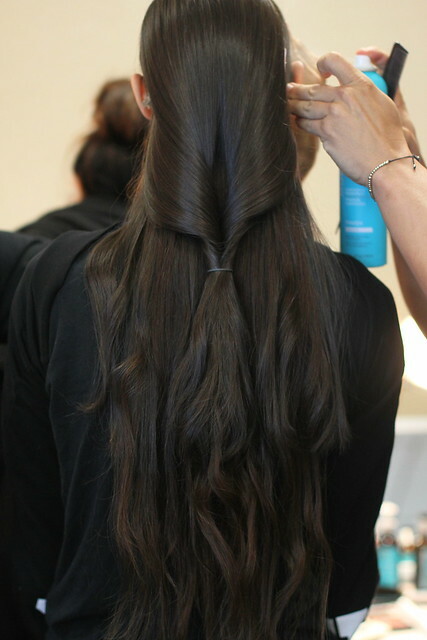 To get the look: Moroccanoil Treatment was used to prep hair, which was then parted in the middle, flat ironed, and tied off in a ponytail. 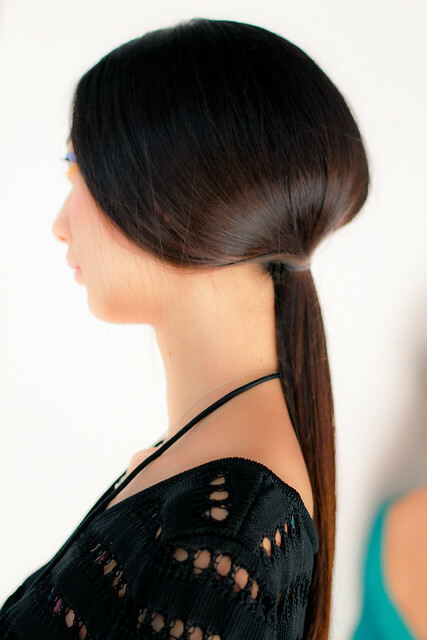 Hair was then backcombed from middle to ends, about 4″ above the ponytail. 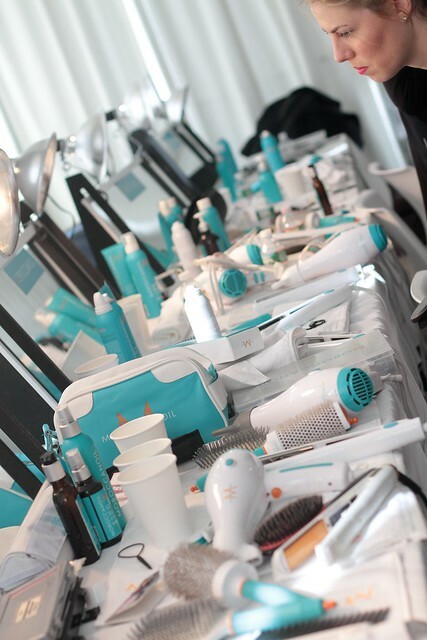 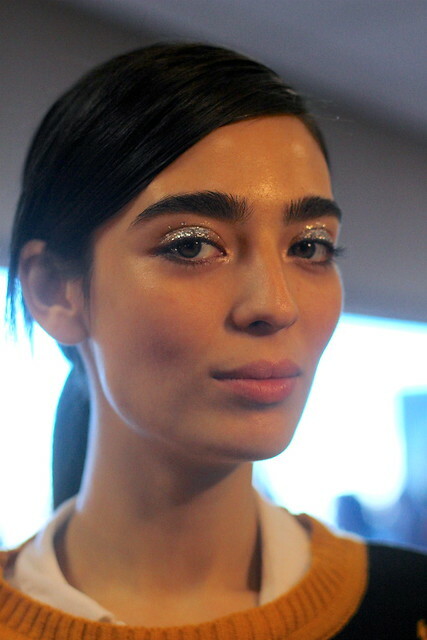 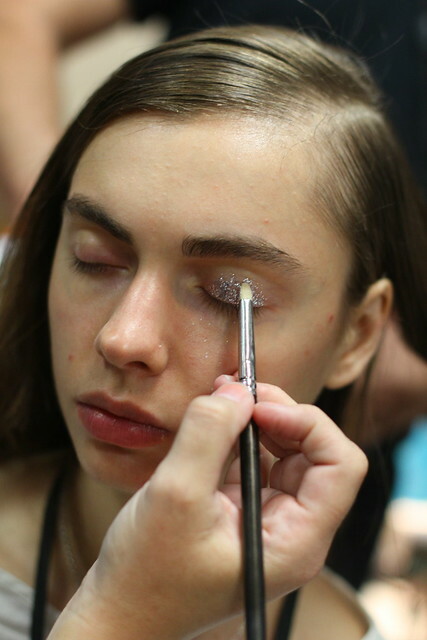 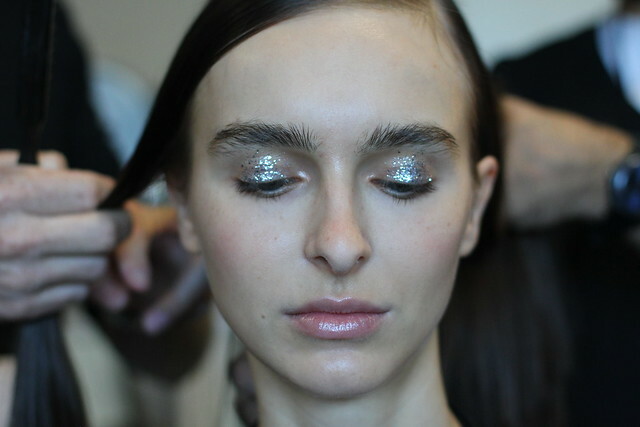 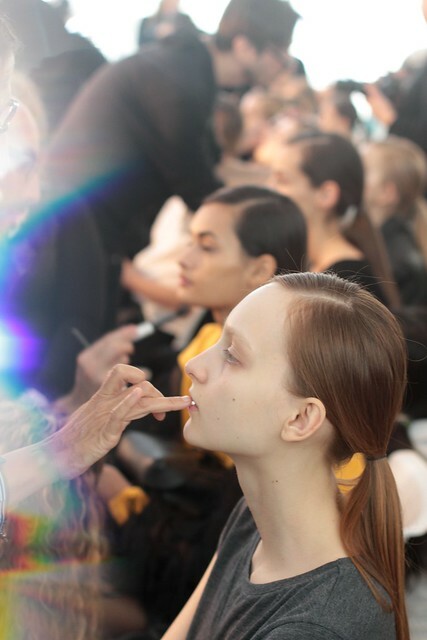 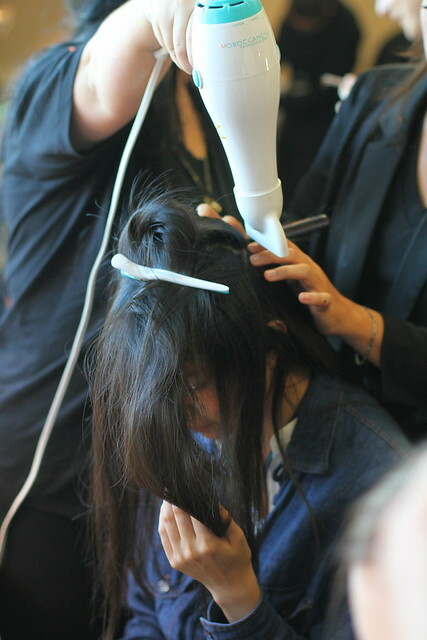 To finish, models’ locks were smoothed into a rounded shape and topped off with Moroccanoil Luminous Hairspray Medium. 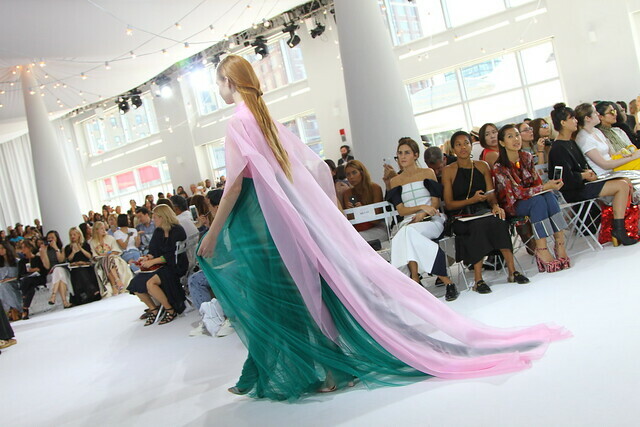 The collection, which struck me as at once both old-fashioned and modern, would be just as at home on a red carpet as it would on a woman walking down the aisle at her wedding. 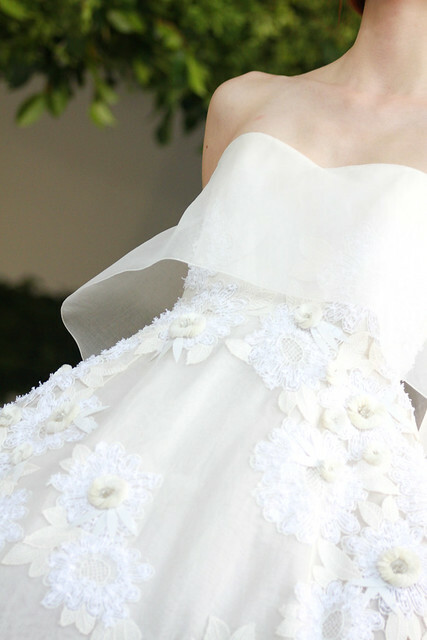 This dress is beyond gorgeous. 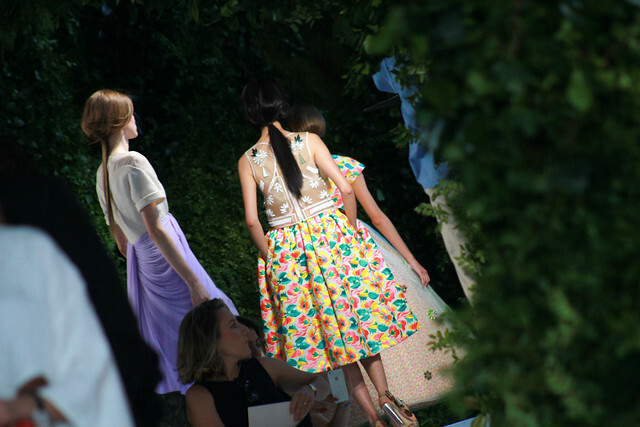 All Photos and Content ®2014 Rachel Scroggins/The Greyest Ghost.